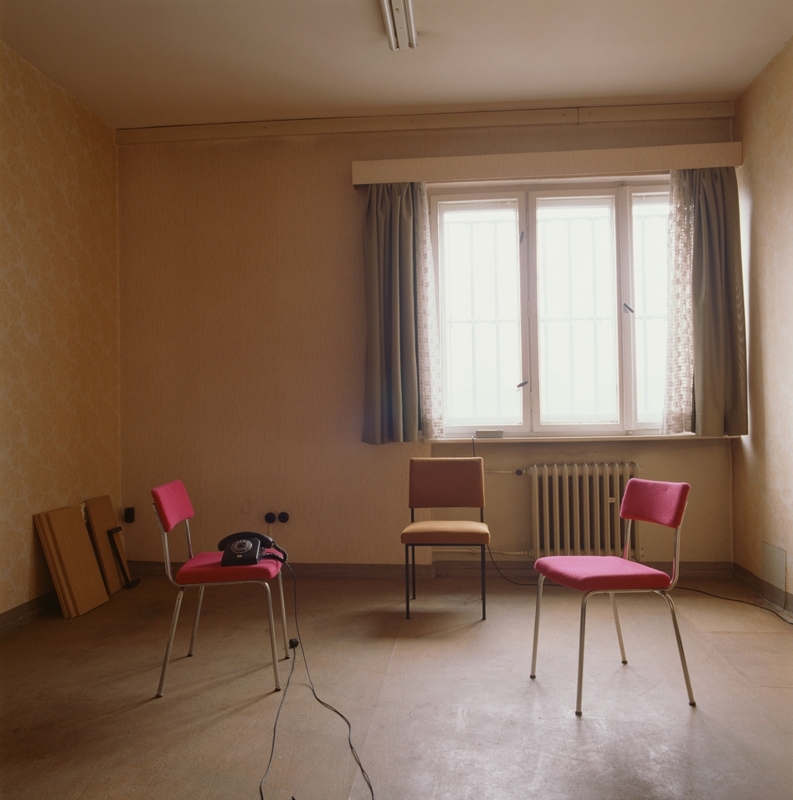 Jane and Louise Wilson’s (British, born 1967) Stasi City (1997) is widely considered one of the most important works of video art of the last half-century, advancing the medium to a newly theatrical and immersive experience. Filmed during a fellowship in Berlin in 1996, this four-channel video installation is a dizzying tour of the former headquarters of the East German secret police (Staatssicherheit) housed behind a nondescript row of buildings in the former East Berlin. The installation accompanies the group exhibition, Everything is Connected: Art and Conspiracy, at The Met Breuer from September 18, 2018 through January 6, 2019.